In the past weeks California Governor Jerry Brown received much disdain from immigrant advocates in regards to his decision to veto the TRUST Act. The TRUST Act would cause law enforcement to only honor ICE detainee requests on arrestees with violent convictions and suspect immigrant status. By vetoing this law, state law enforcement can detain any arrestees that the ICE has put a hold request on. 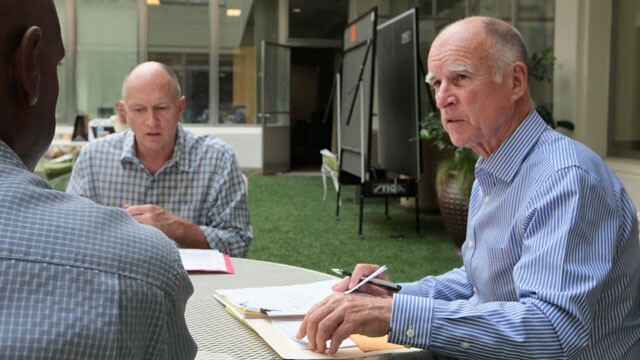 Another bill that Governor Brown vetoed would have provided overtime pay, meal breaks and other protections to domestic laborers. (ABC news 2) Vetoing these bills overshadowed the signing of the bill, which allows benefactors of Obama’s Deferred Action for Childhood Arrivals to receive driver’s licenses in California. Obama’s plan for undocumented immigrant students is to allow them to remain in the country and work for two years if they have lived here for an extended period of time. Governor Brown added a bill that allows these students and youth to receive legal California driver’s licenses, but it only applies to these members of the population. According to Lydia Ramos, a special assistant to the LAUSD superintendent, 200,000 current and former students may be able to apply for this program. While this is an astonishing number, it leaves an even larger number of undocumented immigrants who are not covered by Obama’s plan, and now not protected by any bills that Brown vetoed. A great risk that this poses is Brown’s shot at reelection when the time comes. A great deal of Latino voters may reconsider voting for him if he fails at protecting more undocumented immigrants. Brown offered in his signing statement that he would like to expand on the bill before passing it. If Brown expands and passes the bill, will immigrants be more protected in California? Will Brown gain support from more voters with the passing of more bills aimed at protecting immigrants? Comment with your opinion. ← The Great Wall of….Greece and Turkey?